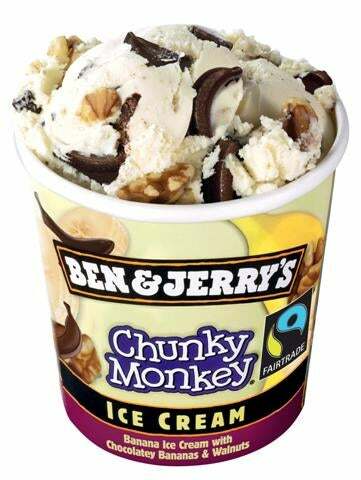 Normally, I’d be halfway through a pint of Chunky Monkey right now. First disappointment: My daughter and I were at the grand opening of Nordstrom Rack in Durham this a.m., as planned. Didn’t win the $2,000 shopping spree, but as I quickly discovered, it wouldn’t have done me much good: The store doesn’t carry plus sizes. (What?) I’d been at two other Rack stores years before, both in the D.C. area, and both carried plus sizes. I checked online: Most Rack stores carry them. Just not the only one in the state of North Carolina. I was seriously bummed. I’d driven all that way, waited all that time – along with hundreds of others, possibly a thousand – for nothing. But, my daughter isn’t plus-sized (thank goodness), so I stayed only because of her. OK, the shoes, too. Wow, I’ve never seen so many fab shoes in my size, in one place. Second disappointment: I didn’t get a position I’d interviewed for. Oh, that hurt. Yes, I have my own business, but this economy has drained the life out of it, so I’ve been looking for challenging opps in the 9-5 world. I admit I didn’t exactly meet their stated qualifications, but I could definitely do the job – and have a great deal of fun, too. I made the first cut, but not the second. The thing is, I’m overqualified for many of the openings in my areas of expertise, and can’t get anyone to take me seriously. So, I go for the stretch positions – and fall miserably short. Now my feelings were hurt not once, but twice today – all before noon. The pity party went into full effect: The only people who wanted me were Ben & Jerry. What I wanted was to feel good, so I forced myself to remember was how great I felt Monday after doing the Shelley Lake course. Of course, a large, soft-serve cone from Dairy Queen makes me feel good, too . . . Even better, I was able to get my mind clear at the park. So I didn’t get the position (with an organization I would give anything to work for). Onward and upward, right? Not really. I was still struggling with a bit of negativity after my walk, so to help me refocus on my trip to the store, I turned on NPR. When the late Jill Hollis recounted the experience with Gordon, she likened it to Jesus’ request that we trust Him. She felt it was God speaking to her through this stranger, commanding her to give up all pretense of not wanting or seeking help, especially when she needed it most. Since I don’t believe in coincidences, I felt there was a message for me in there as well. There’s nothing good, smart, healthy or spiritual about getting down in the mouth over things out of one’s control, is there?